Indulging you with an exceptional tea experience, the Heritance Tea Factory is a luxurious hotel found amidst the lush greenery of Nuwara Eliya, Sri Lanka. 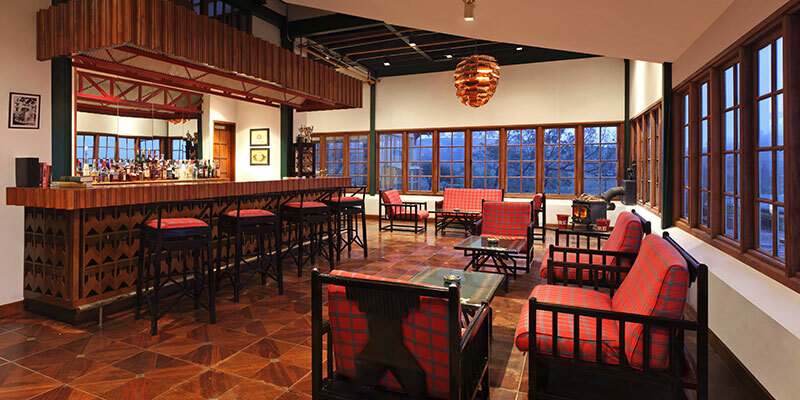 Conveniently perched on a vast tea estate, the hotel is a tea factory converted in to a unique accommodation. 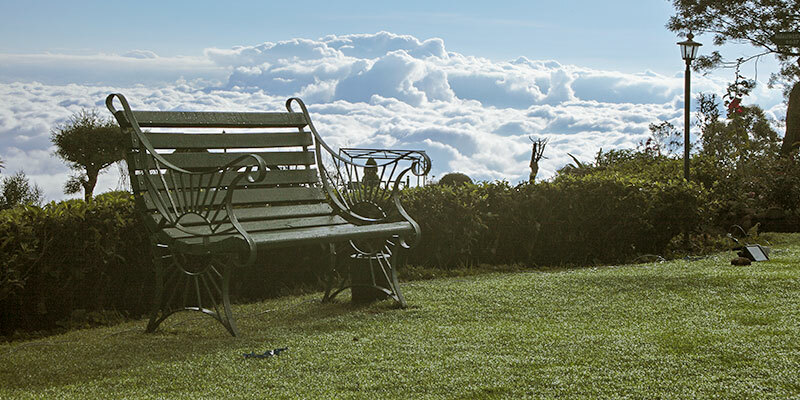 Spoiling you for choice, the Heritance Tea Factory offers a variety of sumptuous lodgings. 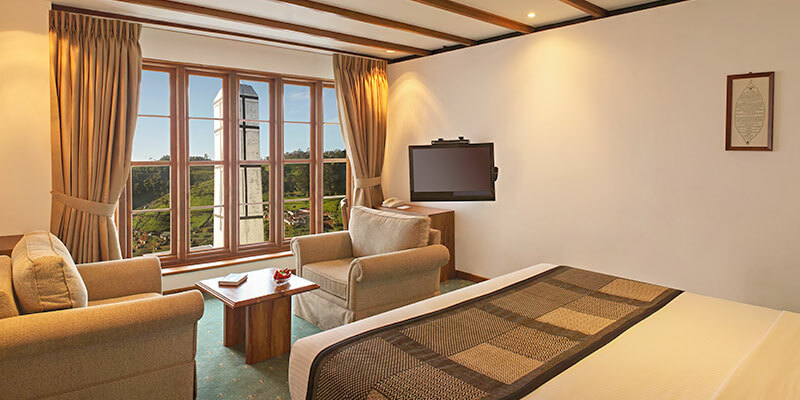 Similar in lay out, the Superior rooms and the Premium rooms are cosy and provide for an intimate getaway. Well suited for recently wedded guests, these rooms complement the setting with picturesque views of the plantation. Upgrade your stay to a more spacious accommodation by staying at the Junior Suite. Furnished with a living room, the suite is a preferred choice of the travelling family. Flaunting the features of a plush apartment, the Executive Floor Deluxe is situated on the top executive floor. 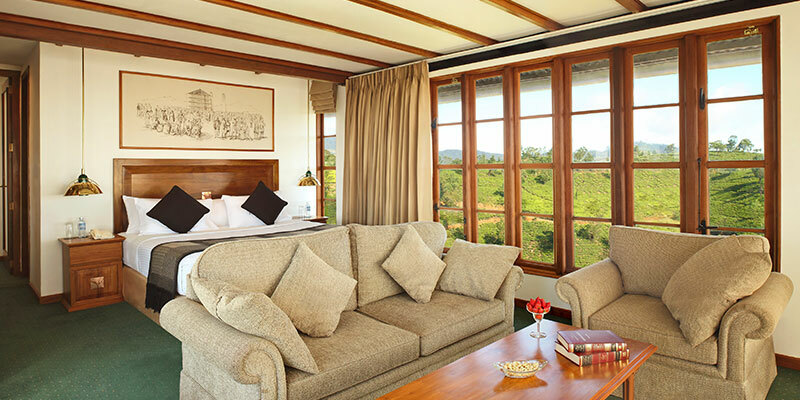 Guests at the suite are treated to a magnificent panorama of the valleys and mountains of the vicinity. Hosting several restaurants and bars, eating until your heart is content is an effortless task at the Heritance Tea Factory. Preserving the authentic aura an old tea factory, the Kenmare Restaurant is the main eatery in the hotel. 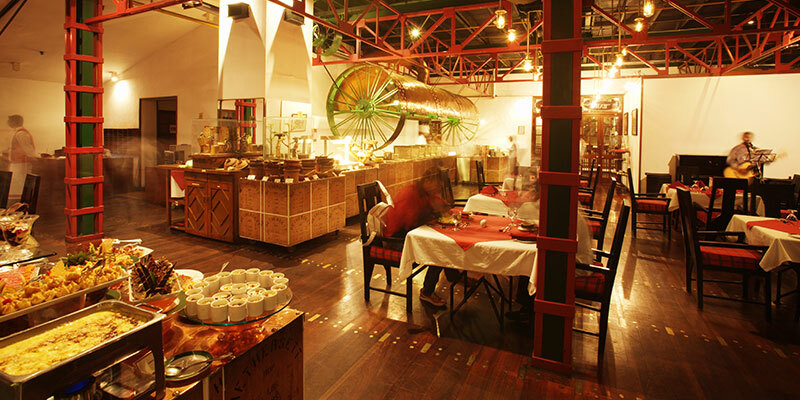 Serving all three meals in buffet style, food is a deliciously generous experience here. Dining is transformed in to a glorious journey, when you feast on wheels! TCK 6685, a third-class carriage of the Udapussellawa that transported tea during the colonial times invites you relish the ultimate fine dining experience. The ingredients sourced from various countries around the world, and guests can savour five-star quality food here. A stiff drink or a refreshing cocktail before dinner is certain possibility at Hethersett Bar. If you prefer a neat lighter beverage, a strong cup of tea freshly brewed or a punchy tea shake is readily available at the Goatfell Bar. Rejuvenate yourself amidst the cool climate of the hill country at the Misty Mountains Spa. At the spa, the skilled experts from Bali understand the ideal therapy that you need to revitalize your body. Offering a range of treatments, the spa has a series of a personal care regiments including manicures, pedicures and hair therapy. Celebrate the most important day of your life at the Heritance Tea Factory. Equipped with an experienced events team, the hotel coordinated your wedding amid the breathtaking vales of the region. If you are already married, an exquisite ceremony to renew your vows can effortlessly be organized in a traditional setting. 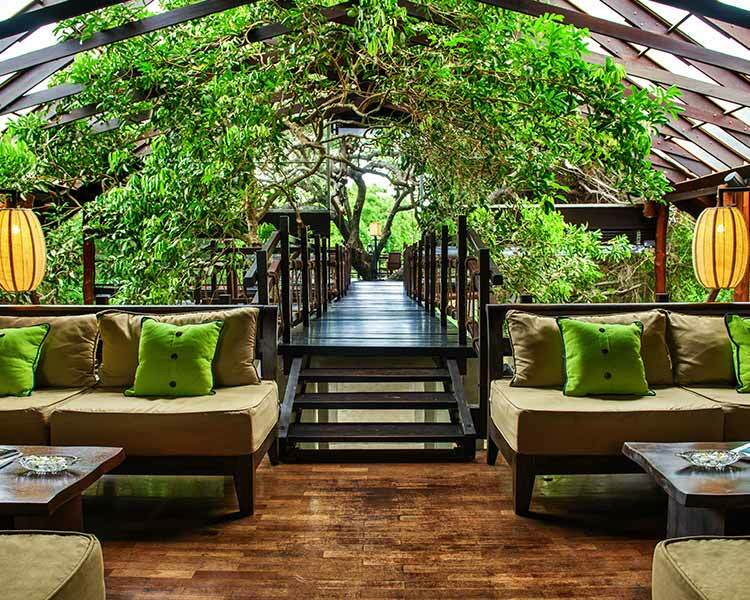 Take the ultimate holiday in Sri Lanka at the Heritance Tea Factory hotel. Delighting the international visitor, the residence facilitates an exceptional excursion. Guests here guised as tea pluckers, can pluck the tea leaves on the estate. The plucked leaves will then be processed and packed at the factory, ready in time for you take it home. Transporting you to a different world, the Heritance Tea Factory presents a one of a kind holiday for the global traveller.